Chris has worked at all of the top comedy clubs across New York City including but not limited to Gotham Comedy Club, Carolines on Broadway, and The Comedy Cellar. Chris has a Bachelors degree in Psychology to impress his mom’s friends, and a Doctorate in Physical Therapy to impress his Moms friend’s Moms. You can catch Chris all over MTV! He is a current cast member on MTV2s hit show “GuyCode”. 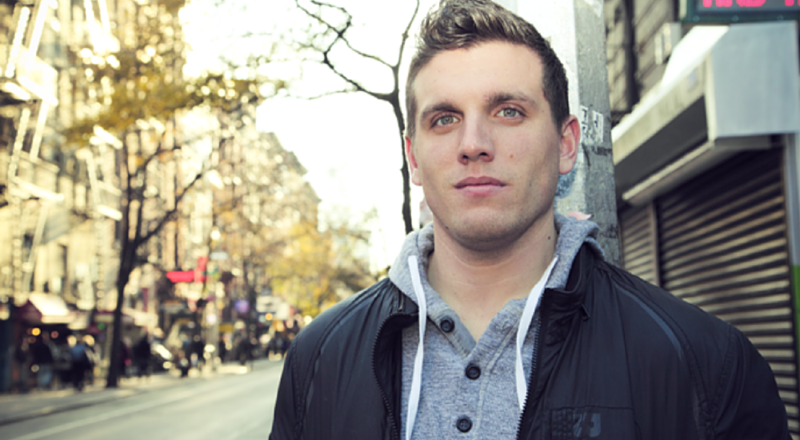 You can also see him featured on MTVs “GirlCode” “Failosiphy” and “Money From Strangers”. Chris was selected from hundreds of comedians across the country to be one of Comedy Centrals “Comics to Watch” as part of the 2012 New York Comedy Festival. He was selected as a finalist in “New York’s Funniest” as a part of the 2012 New York Comedy festival as well. On June 20th, 2013, Chris made his network Televison debut, on The Late Show with David Letterman, on CBS. Chris has opened up for comedy legends such as Richard Lewis, Gilbert Godfried, and Artie Lange. Chris has been heard on Sirius XM radio and his left elbow was featured on a National Subway Commercial. It’s a good elbow. He would know. He loves elbows.